Experience | Welcome to My Strokes ! Here are glimpse of Holi celebration in TDA. I experienced the extent of involvement. Read the rest of the story to see some interesting pictures. Tata-Dhan Academy is an institute which provides opportunities for students to visualize their professional life as development managers. But the lessons we learn don’t all come from the classroom or the field–sometimes, even a traditional celebration helps bring new perspectives for the development professional. India culture and heritage is incredibly rich. At the Academy, the students in PDM 11 and 12 represent both northern and southern states, providing an opportunity to experience and learn more about this rich culture. For example, in the northern states, Holi, a festival of colours, is widely celebrated. Last year, with PDM 10, we had a good celebration, and building on this, we decided to celebrate with some value addition. This year, for example, we did Holika Dahan and an ethnic lunch. In Programme in Development Management (PDM ) , Tata-Dhan Academy offers a one credit course MODE half in term 3 and half in term 4. In Tata-Dhan Academy this is one of the challenging course because of two reasons, (1) Vasi sir is faculty,(2) student facilitates the class in term 4. This facilitation is not for name sake, really students need to gone through the preparation before coming to class. I also though that it is going to be hard time for me also but I really enjoy the preparation part and after preparation the facilitation process in class. I really got skill to facilitate the class. 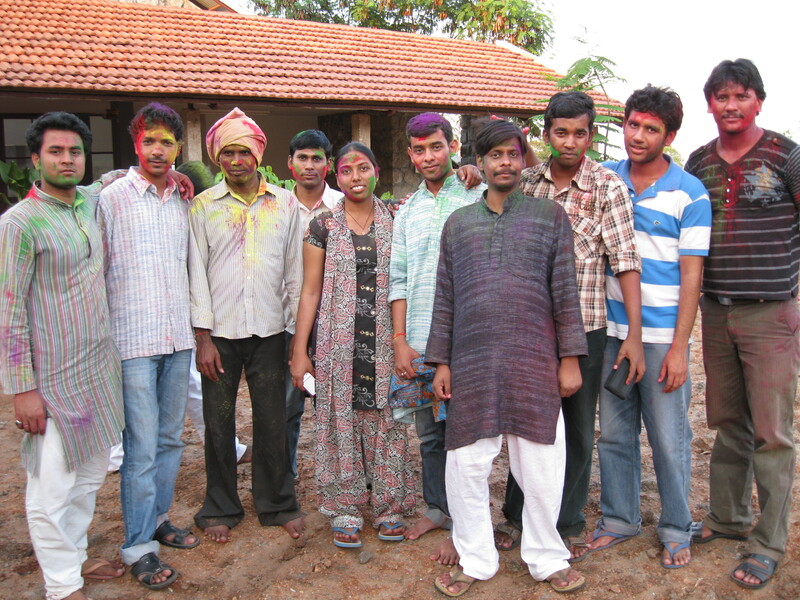 I had celebrated Holi in my home town Kanpur with my family, relatives and friends. Generally I enjoyed with my friends one this particular day. After celebration I forgot everything because it is only a celebration for me. This year I got a chance to celebrate this auspicious occasion in Tata-Dhan Academy. We all student (PDM 11 and 10) planned to celebrate this festival with our academy people including some village people who are working in academy. We planned to organise with our faculty and hostel warden.